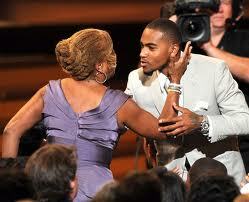 DeSean Jackson, of the Washington Redskins and CEO, of The DeSean Jackson Foundation, and his mother, Gayle Jackson, President, of the DeSean Jackson Foundation, extend a cordial invitation for you to join them for their inaugural celebrity golf outing, Saturday, June 6, 2015, at The Golf Club at Lansdowne, Landsdowne, VA, 11:30 A.M. – 9:00 P.M. Proceeds from this event will benefit The Sol Goldman Pancreatic Research Center, at John Hopkins (http://www.path.jhu.edu/pc), and the DeSean Jackson Foundation (www.deseanjacksonfoundation.org) , a 501 (c) (3), public charity co-founded by DeSean Jackson; and, his mother, Gayle Jackson, in 2009 when DeSean’s father, William “Bill” Jackson died from Pancreatic Cancer. 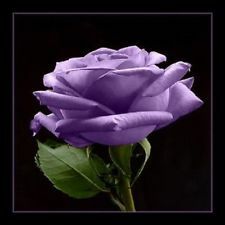 According to the American Cancer Society, Pancreatic Cancer is the number “4” cancer killer in the US and the only one of the four that does not have a known cure. The lack of early detection methods and research continues to slow progress towards a cure. There is no known cure for this deadly disease and over 42,400 people – 116 + per day are diagnosed with pancreatic cancer each year. In the last 5 years more than 210,000 people have been diagnosed with pancreatic cancer and over 92% of those individuals have passed away during the first year of their diagnosis. While only 5% of those living past the first year live to the fifth year and 3% of those will succumb to the disease sometime beyond that point. 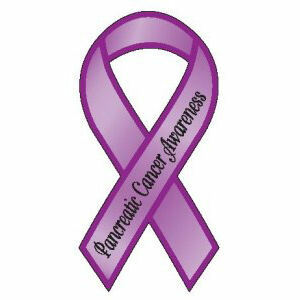 Pancreatic Cancer is one of the few cancers for which survival has not improved substantially over the last 25 years. Those that make it past the first year have been known to live significantly longer today than those diagnosed before 2006; and, over 51% of those afflicted with this dreadful disease are African-American; even though this “Silent Killer” does not discriminate. L. T. Hutton, Record Producer, Entrepreneur, Movie Producer. Note: The Golf Club at Lansdowne will waive the driving range fees for golfers who wish to practice prior to Shotgun tee off; and, 15% discount will be given for Spa services for guests of The DeSean Jackson Foundation. * Chance Auction with items including: autographed items by local sports athletes, premium event tickets and much more! Please Purchase Your Tickets By Using the following On-Line, Secured Donate Button and Bring Your Receipt to the Event. Thank You. Includes: 16 individual tickets for golf/dinner, sponsor logo on all promotional materials, VIP celebrity meals, VIP celebrity meet-and-great prior to Shotgun start, signature cocktail drink, company logo displayed on event website, hole sponsorship/signage at one hole, DeSean Jackson’s personal social media mentions to 900,000 fans (Face Book/Twitter fans) option include branded giveaways in golfer swag bags (excluding hats, golf bags and golf towels); and, personal tweets from Gayle Jackson’s personal Twitter account (5,000 followers). Includes: 4 individual tickets to golf, dinner, brand the official tournament hat distributed to all players and VIP’s, company logo displayed on event website. DeSean Jackson’s personal social media mentions to 700,000+ fans. Includes: 4 individual tickets to golf, dinner, brand the official tournament towel distributed to all players and VIP’s, company logo displayed on event website. DeSean Jackson’s personal social media mentions to 700,000+ fans; and, Gayle Jackson’s personal social media mentions to 5,000 Twitter fans. Includes: 4 individual tickets to golf, dinner, brand signage for all golf carts, company logo displayed on event website. Includes: 4 individual tickets to golf, dinner, brand the official tournament golf balls distributed to all players and VIP’s, company logo displayed on event website. Includes: 2 individual tickets to golf, dinner, option to choose one of the following contests – Closest to the Pin, Women’s Longest Drive, Men’s Longest Drive, company logo displayed on event website. Includes: 4 individual tickets to golf, dinner, prominent name/logo on all promotions/collateral material, prominent name/logo on signage near ballroom entrance, company logo displayed on event website, option to include branded give-a-ways in golfer swag bags (excluding hats, golf balls, and golf towels). * Individual donors who make donations on-line in the amount of $11.00 and more will have their names posted on the foundation website; and, the 2015 .DeSean Jackson Annual Report. Gayle Jackson, President, of the DeSean Jackson Foundation, said she encourages individual donors to give regardless of the amount because, we are in the #Fight of our Lives! Furthermore, Gayle Jackson said we must cultivate a ‘caring community’ with empathy and compassion for both those afflicted; and, their ‘caregivers’ and children; and, assure that they maintain their quality of life; and, are served with dignity and respect. The Jackson Family was fortunate to have DeSean while we were going through this traumatic experience and the Philadelphia Eagles who provided DeSean’s rookie salary; but, not every family has a DeSean Jackson; and, DeSean Jackson can’t help every family, so, please help us. Please Make Your Donation for a Sponsorship By Using the following On-Line, Secured Donate Button. Thank You. The resort’s accommodations encompass 296 luxury guest rooms, including 14 suites with spectacular property and golf course views. 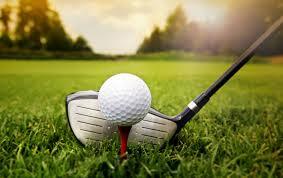 Lansdowne Resort is home to The Golf Club at Lansdowne – the centerpiece for 45-holes of championship golf. The three unique courses designed by Robert Trent Jones, II and Greg Norman, including the challenging 9-hole Sharkbite Course, are managed by Troon Golf. The 12,000 square foot Spa Minérale is a world-class destination spa, featuring 13 treatment rooms and a wide range of pampering treatments and services. Activities abound at Lansdowne Resort. From a modern Health & Fitness Center to a five-pool Aquatic Complex to three lighted hard courts for tennis, the resort has the unique capability to provide the utmost for business and pleasure – and all just 40 minutes from the historic sites of the Nation’s Capital and only 8 miles from Dulles International Airport. For more information about Lansdowne Resort, please visit,http://www.lansdowneresort.com. Volunteers are needed for the DeSean Jackson Foundation Inaugural Golf Tournament, June 6th, The Golf Resort, Lansdowne, VA.
– Purchase an official DeSean Jackson Foundation golf shirt @ $20.00 using the Pay Pal link, prior to the event. – Report to the volunteer registration table at least one hour prior to the event. The Golf Club at Lansdowne desires to maintain reasonable standards of attire on the golf course and in the clubhouse. Our dress code is mandatory for all players and individuals. If you are in doubt as to your attire, please check with our Golf Shop. 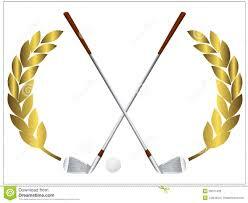 Golfers not properly attired will not be permitted to play golf or use the practice facilities. Non denim slacks or Bermuda length shorts, collared golf shirts, turtlenecks or mock neck shirts are required for men. All shirts and hats should be worn in the manner they were designed to be worn. The above dress code will also be enforced on the golf course for children of all ages. Clean (non-torn) Denim is permitted in the clubhouse. Children 11 and older are required to meet the dress code above. Children under 11 should be dressed in clothing with this standard in mind and in consideration of their ages. Special Events may dictate additional dress requirements. The above dress code does not apply to the locker room area or the Golf Shop. Donation: If you are unable to attend but wish to make a tax deductible donation to: The DeSean Jackson Foundation, please use the following, on-line, secure link. Thank You. The Golf Club at Lansdowne: A very special ‘thank you’ to our gracious host, The Golf Club at Lansdowne in Leesburg, VA. The Premier Golf Membership is available NOW to individuals or families looking for a unique resort lifestyle club featuring 45 holes of golf, complete practice facilities, golf services, clubhouse with locker room, Lansdowne health membership, and more. 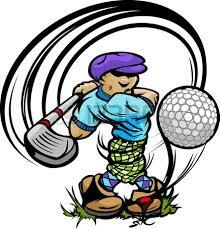 Log on now to GolfAtLansdowne.com for more information.